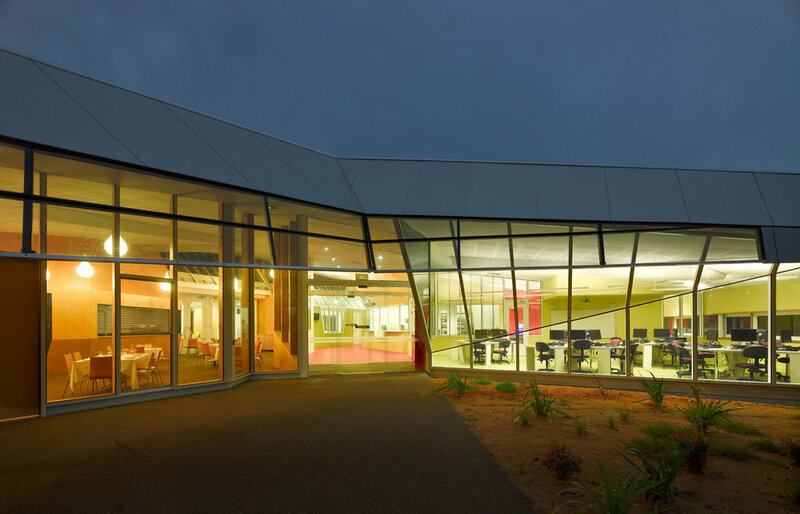 The GippsTAFE Learning Centre, Leongatha, was the first TAFE building in Australia awarded a 5 Star Green Star rating. The building’s envelope enhances natural ventilation internally while minimising extreme wind gusts outside. The aerodynamic effect is an outcome of active environmental engineering design as part of an integrated sustainability approach. 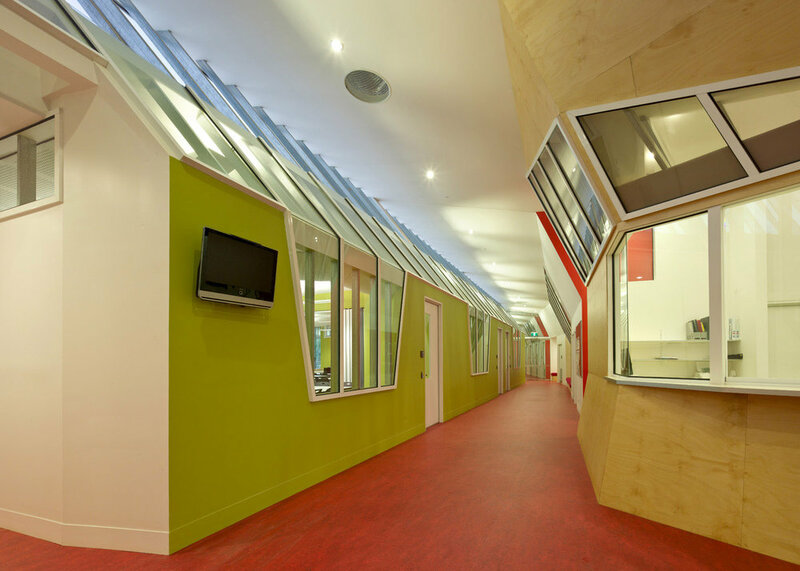 This project embraces the question: what does a 5 Star Green Star educational building look like? 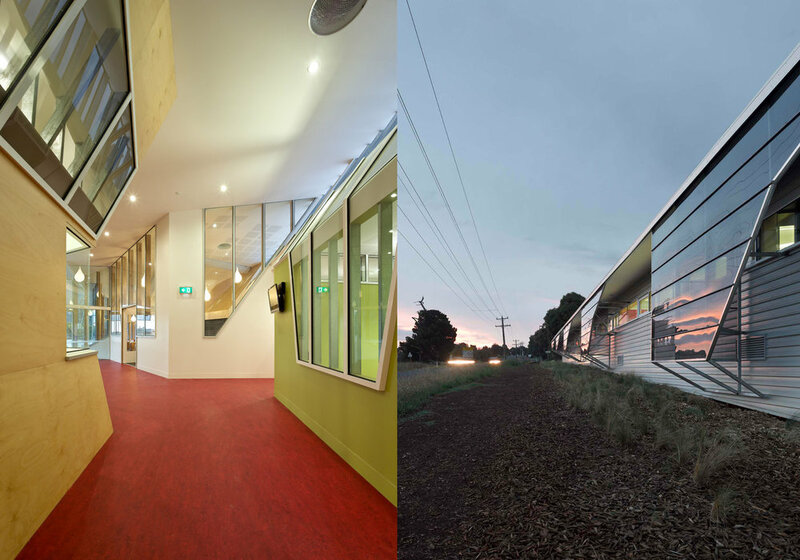 This project, a 1615sqm learning centre in Gippsland, Victoria, became the first TAFE building in Australia to be awarded a 5 Star Green Star (Education Design v1) rating by the Green Building Council of Australia. 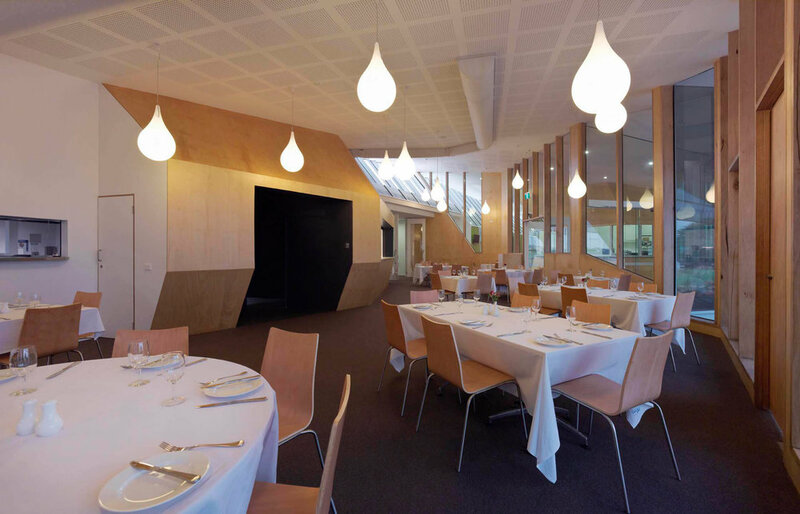 Our approach to the design was to integrate, rather than separate, the building’s conceptual and sustainable design aspects. Wind engineers advised us on the effect of natural wind considerations on the building. 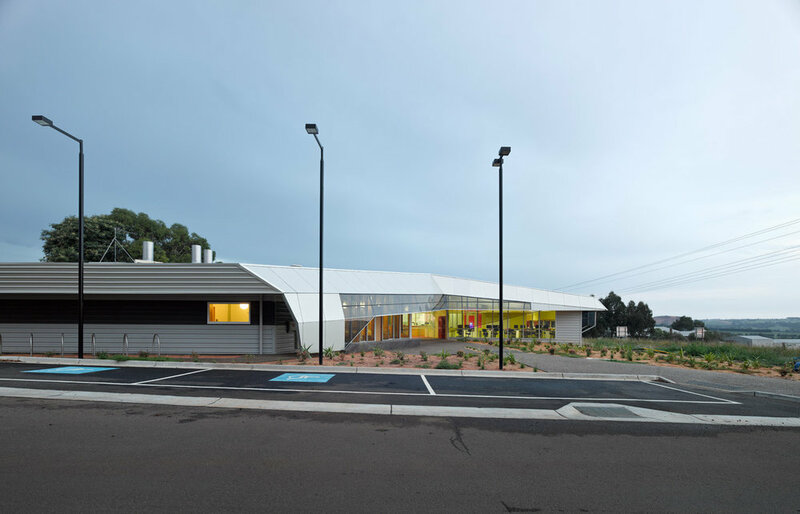 In response, we designed the building’s envelope to enhance natural ventilation internally while minimising extreme wind gusts around the building. 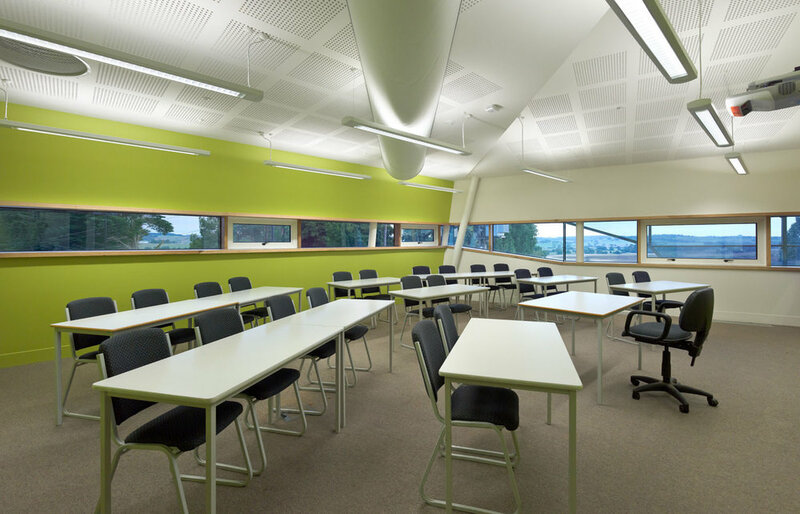 The wind scoops on the south elevation induce positive pressures from westerly and easterly winds, maximising suction pressure into teaching and staff areas. Fairings on the north elevation deflect hot northerly winds and capture cooling easterly winds. The project embraces the question: what does a 5 Star Green Star educational building look like? Consequently, the building’s aerodynamic effect is an outcome of active environmental engineering design, synthesised into the building envelope.